Cap auto insurance prices at $200 below the national average. Empower Michigan’s Insurance Commissioner to stop ‘excessive’ pricing. End ‘file and use’ to allow for price ‘excessiveness’ analysis. Conduct an updated study of the ‘excessiveness’ of Michigan’s auto insurance prices. 1. Cap auto insurance prices at $200 below the national average. Let’s start with something truly audacious and meaningful. If Michigan lawmakers are serious about keeping No Fault auto insurance prices down, then we should enact legislation now to cap prices at $200 below the national average. It’s far more attainable that you might think. 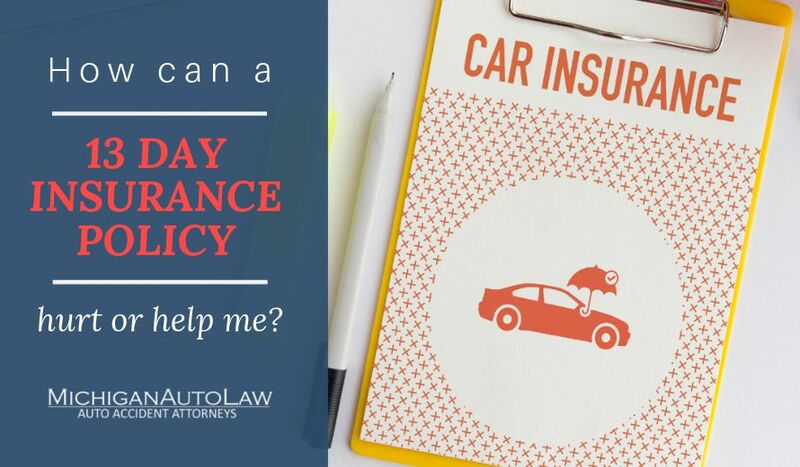 With the average auto insurance premium in Michigan at $1,110.61 and the national average at $911.56, that would yield approximately $300 in annual savings for consumers. (Sources, Average auto insurance premium data: National Association of Insurance Commissioners (NAIC), Insurance Institute of Michigan (IIM)). Sure, the auto insurance industry will howl in protest. I’m sure I’ll hear the usual accusations about me being an insurance lawyer and people like Pete Kuhnmuench saying such legislation would violate “free market” principles. But what free market, exactly, is that? People who own motor vehicles in this state are required by law to purchase auto insurance, and face both civil and criminal penalties if they don’t and a car accident occurs. But even though people are forced to purchase auto insurance, our state is one of the very few in the entire nation that doesn’t empower our own state insurance commissioner to make sure the prices these insurers charge consumers is reasonable. And these cherished “free market” principles have never stopped the insurance industry from backing so-called No Fault insurance “reform” proposals that would significantly fatten already high profit margins. In addition, over the last few years, we’ve seen the insurance industry pushing to impose price controls – the exact opposite of free market principles – on what hospitals and doctors can be paid for treating auto accident victims. 2. Empower Michigan’s Insurance Commissioner to stop ‘excessive’ prices. Empowering Michigan’s Insurance Commissioner to stop auto insurers from charging “excessive” prices is another way to protect consumers from paying too much for auto insurance. It’s good enough for most other states. It should be good enough for protecting Michigan consumers, too. However, to give the Insurance Commissioner (who is technically the Director of the Michigan Department of Insurance and Financial Services (DIFS)) real power to keep auto insurance prices affordable, a slight change in Michigan’s Insurance Code will be required. It will also require the political will to do so, and I wonder if a Republican governor and a Republican-controlled legislature would be willing to take on the insurance industry in this age of Citizens United, when the insurance industry lobbyists are already funneling so much money to the GOP. In 2014, Rep. Scott Dianda (D-Calument) introduced House Bill 5524, which proposed eliminating the insurmountable “competitiveness” requirement. Unfortunately, HB 5524 “died” due to inaction at the end of the 2013-14 legislative session. 3. End ‘file and use’ to allow for price ‘excessiveness’ analysis. The Insurance Commissioner “shall review” proposed auto insurance price increases “to determine whether” the proposed price is “excessive” and/or it otherwise “meets the requirements” of the Insurance Code. A 15-day waiting period whereby auto insurers would be required to file their proposed price increases with DIFS “at least 15 days before” a desired price increase for auto insurance is to take effect. Unfortunately, HB 5461 “died” due to inaction at the end of the 2013-14 legislative session. 4. Conduct an updated study of the ‘excessiveness’ of Michigan auto insurance prices. It’s time for an updated study of the “excessiveness” – or non-excessiveness – of Michigan auto insurance prices. Significantly, auto insurance prices in several territories were determined to be “excessive” or “unreasonably high for the insurance coverage provided,” according to the Insurance Commissioner’s 2005 summary. (See MCL 500.2109(1)(a)). This was not only the last such study to examine the prices that the auto insurance industry charges. It was the only study. And that, dear readers, makes no sense. We’ve allowed the insurance industry propaganda machine and lobbyists to shift the focus away from how much the insurance companies charge for over a decade. We’ve seen them blame the high costs of auto insurance on everything from trial lawyers, to medical tests that cost too much, to the prices that doctors and hospitals charge to treat auto accident patients. But an inquiry into the high costs of auto insurance in Michigan should start with an updated study into the actual costs of auto insurance that insurers are charging consumers. And even though the 2003 study found “excessiveness,” the 2003 study concluded that “the rates charged by” Michigan auto insurance companies “could not be found to be excessive under current law” because Michigan’s auto insurance market was found to be “reasonably competitive.” But that’s like putting the foxes in charge of guarding the hen house, and then saying because there are a lot of foxes, then that’s OK. Maybe all the foxes (read: insurance companies) are charging excessive prices? But how we’ve allowed more than a decade to elapse since this last study, while at the same time seeing proposal after proposal to drastically alter Michigan No Fault insurance, is truly beyond me. This is a study that should be conducted annually. At the very least, such a study should be performed now, before we take away all lifetime necessary medical care for catastrophically injured car accident victims. We have seen a number of proposals that would cap No Fault insurance, and that would devastate the very people who need and depend upon PIP the most. But we’ve seen nothing about an updated analysis of what insurers charge consumers. Such a studied oversight needs immediate correction. Tomorrow, I will discuss some of the practices that result in consumers paying higher auto insurance prices.